Westside Surgical Hospital & Breast Center specializes in breast care for women and men affected by breast cancer. The surgical procedures performed by our physicians include lumpectomy, mastectomy, stereotactic biopsy and a variety of breast reconstructive surgeries. 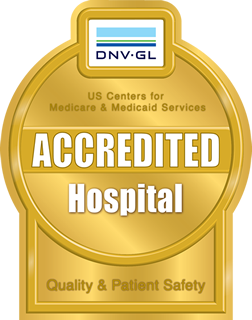 By partnering with the most talented physicians, medical and hospital staff in the area, we have been able to create a uniquely patient-centered environment that focuses on healing and recovery. One in eight women will develop breast cancer at some point during their lives. Over 230,000 new breast cancer cases are diagnosed each year in the United States alone. With greater awareness, earlier detection and improvements in medical technology, these cases are being treated with increasing rates of success. However, only a fraction of women are informed about breast reconstructive surgery and its benefits. For more information about Westside Surgical Hospital or to receive a referral to one of our renowned breast reconstructive surgeons, please contact us. Many people with breast cancer will have the opportunity to choose between treatments: surgical removal of all or part of a breast (mastectomy) or breast-conserving surgery (lumpectomy). Both surgeries, as well as reconstruction after cancer treatment, are performed by highly skilled surgeons at Westside Surgical Hospital & Breast Center. In some cases, mastectomy is the preferred option for cancer treatment. For some women, removing the entire breast provides the greatest peace of mind, since the majority of the cancer will be removed. Chemotheraphy and/or radiation therapy may still be needed in some cases. Knowing your reconstruction options before surgery can help you prepare for a mastectomy with the most realistic perspective. Mastectomy takes longer and is more extensive than lumpectomy, with more post-surgery side effects and a longer recuperation time. Mastectomy means a permanent loss of your breast. You are likely to need additional surgeries to reconstruct your breast after mastectomy. Lumpectomy is a breast-conserving surgery, used in conjunction with radiation therapy, to eradicate the cancer cells in the breast. Lumpectomy followed by radiation is likely to be equally as effective as mastectomy for people with only one site of cancer in the breast and the tumor is less than 4 centimeters in size. The main advantage of lumpectomy is that it can preserve much of the appearance and sensation of your breast. It is also less invasive than mastectomy, so your recovery time is shorter. You are likely to need five to seven weeks of radiation therapy after lumpectomy surgery to make sure the cancer is gone. Radiation therapy may affect the timing of reconstruction (if necessary) and possibly your reconstruction options after surgery. There is a somewhat greater risk of the cancer recurring after lumpectomy. The breast cannot safely tolerate additional radiation if there is a recurrence in the same breast after lumpectomy. You may need to have one or more additional surgeries after your initial lumpectomy. Do you want to keep your breast? If it’s important to you to keep your breast, you may decide to have lumpectomy with radiation instead of mastectomy. Do you want your breasts to match as much as possible in size? For most women, lumpectomy gives a good cosmetic outcome. How anxious will you be about breast cancer coming back? If removing the entire breast would help ease the anxiety about the possibility of the breast cancer recurring, you might consider mastectomy. If you need to have a large area of tissue removed, you and your doctor will need to decide which surgery is best for you. If you feel strongly about one option over the other, ask your surgeon how many mastectomies and lumpectomies he or she performs. Seek a second opinion to get a more complete and balanced understanding of your options.Your breasts are an important part of your identity. Surgeons may suggest you wait to have reconstructive surgery after cancer surgery and/or radiation, especially if you have any health problems. You might not be able to have reconstruction at all if you are obese, too thin or have blood circulation problems. Many doctors recommend that women who will need radiation after surgery not have immediate reconstruction. Radiation can cause problems after surgery and lower the chances of success of reconstructive surgery. Breast reconstruction allows women to use their own tissues to restore their breasts after mastectomies and has benefits over breast implants and mastectomies without any implants. Breast reconstruction, also known as breast restoration, can be performed at the time of a mastectomy or delayed months or even years. Breast restoration is a physically and emotionally rewarding procedure. Women that have had breast reconstruction have reported an increase in self-confidence, gained emotional well-being, renewed body image and an increased sense of femininity and sexuality. There are a variety of breast reconstruction options available that allow women to restore their breast(s) to near normal, shape, appearance and size following a mastectomy. Most women have a renewed sense of femininity after breast reconstruction. Westside Surgical Hospital & Breast Center is highly experienced and well-equipped to care for patients who have a lumpectomy, mastectomy or one of these breast reconstruction procedures. These procedures use tissue from different locations on your body (tummy, back, thighs, or buttocks) to rebuild the breast. The two most common types of tissue flap procedures are the TRAM flap (or transverse rectus abdominis muscle flap), which uses tissue from the lower abdominal area, and the latissimus dorsi flap, which uses tissue from the upper back. These operations leave two surgical site scars — one where the tissue was taken and one on the reconstructed breast. Scars fade over time, but they will never go away completely. There can be donor site problems and muscle damage or weakness. There can also be differences in the size and shape of the breasts. In general, flap tissues behave like the rest of your body tissue. For instance, they may enlarge or shrink as you gain or lose weight. The DIEP flap procedure offers women the advantage of using their own soft tissue and skin, which produces a natural look and feel to the breast. Because no muscle tissue is removed from the abdomen, patients will have the added benefit of an improved abdominal contour, in a procedure similar to a “tummy tuck.” Of all the breast restoration options available today, the DIEP flap is the most advanced procedure and requires the surgeon to have special training and expertise in microsurgery. The DIEP flap uses fat and skin from the same area as in the TRAM flap but does not use the muscle to create the breast mound. This results in less skin and fat in the lower belly or abdomen area. This method uses a free flap, meaning that the tissue is completely cut free and then moved to the chest area. Use of microsurgery is needed to connect the blood vessels. The procedure takes longer than the TRAM pedicle flap but leaves less muscle weakness and causes fewer hernias. The GAP flap uses skin and tissue from the buttocks to create a soft, natural breast with very little drooping. This flap procedure spares all the underlying gluteal muscles to reconstruct the breast removed during mastectomy. In most cases, the procedure results in the added benefit of a buttock or thigh lift. The GAP flap may be a good option for women who have had previous abdominal surgery or who have more fatty tissue in their buttocks than in their abdomen. The Latissimus Dorsi flap breast reconstruction method is a surgical procedure that takes its name from the latissimus dorsi muscle located in the upper back just under the shoulder blade and behind the armpit. This procedure uses muscle, skin and tissue from the upper back to reconstruct a breast mound following mastectomy. The latissimus dorsi flap moves muscle and skin from the upper back when extra tissue is needed. The flap is made up of skin, fat, muscle and blood vessels. It is then tunneled under the skin to the front of the chest to create a pocket for an implant. The implant can be used for added fullness to the reconstructed breast. Some women may have weakness in their back, shoulder or arm after this surgery. The TRAM flap is a surgical procedure that uses fatty tissue, skin and muscle from the lower abdomen. Similar to a DIEP flap, except that this procedure uses muscle tissue, a benefit of the surgery is a tightening of the skin over the abdomen with results similar to a tummy tuck. First developed in the early 1980s, it was one of the first reconstruction procedures to perfect the use of tissue from the woman’s own body. In a free flap, the surgeon removes the flap of skin, fat, blood vessels, and muscle for the implant from its original location and then re-attaches it to blood vessels in the chest. This requires microsurgery to connect the tiny vessels and takes longer than a pedicle flap. Some doctors think that the free flap can give a more natural breast shape. The gluteal free flap or GAP (gluteal artery perforator) flap is a newer type of surgery that uses tissue from the buttock area, including the gluteal muscle, to create the breast shape. It may be an option for women who cannot or do not wish to take tissue from the tummy areas. This method is much like the free TRAM flap. The skin, fat, blood vessels, and muscle are cut out of the buttocks and then moved to the chest area. Microsurgery is used to connect the tiny vessels. For those who can’t or don’t want to use TRAM or DIEP flaps, a new surgery was developed that uses muscle and fatty tissue from along the bottom fold of the buttock extending to the inner thigh. This is called the transverse upper gracilis flap or TUG flap. Because the skin, muscle, blood vessels are cut out and moved to the chest, microsurgery is used to connect the tiny blood vessels in the breast area. Although breast reconstructive surgery can restore the breast to near normal, the results vary from person to person. A reconstructed breast may not have the same sensation or sensitivity to touch that the breast it replaces. Incision lines will always be visible after surgery, whether from mastectomy or breast reconstruction. And breast reconstruction will leave visible incision lines at the donor site, whether abdomen, buttocks or the upper back.